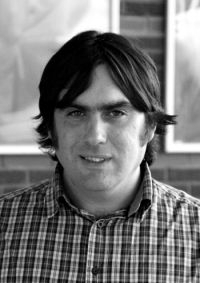 Dr Greg Bevan is a lecturer in film and media practice. He came to Aberystwyth in 2012 after teaching at both Salford University and Manchester Metropolitan University. He is a practice-based researcher, professional videographer and filmmaker, producing work for terrestrial and online broadcast, as well as organizations and businesses. He is also an Avid-certified instructor. Documentary film; documentary aesthetics; film form and authorship; film language; experimental film and video; voice in documentary films; texture in film; practice-based research. Designing a New Documentary Landscape: A renegotiation of documentary voice through animated collageBevan, G. & Bosward, M., 2013 , In : Scene.1, 3, p. 443-45614 p.
Extremity and ExcessTaylor, E. (ed. ), Darlington, J. (ed. ), Cookney, D. (ed.) & Bevan, G. (ed. ), 2012 , First ed.University of Salford Press.